What is HDR (High Dynamic Range) and why do you want it? Going in to ISE 2016, HDR (high dynamic range) is all the buzz. What is HDR and what do consumers need to know about it? HDR creates pictures in the same way that the human eye does. It makes videos come to life with shadows and shading details we have never seen on other displays. The picture created with HDR technology is similar to 3D but without the glasses. With that being said, the most important thing consumers need to understand is the technology behind this fantastic display. The specs need to be understood so the correct accessories can be purchased. The days of getting by with cheaply made HDMI cables are over when it comes to HDR. Why do you think HDR is catching on so fast? The answer to HDR catching on so fast can be summed up in one word: CONTENT. Content is available now for HDR and more is on the way. In the past, it has taken years for the content to catch up to the new technology of displays but with HDR this is not the case. Amazon has HDR content streaming now and Netflix will have HDR content later this year. YouTube has also joined the HDR party by promising to start streaming HDR content. Dolby and Warner Brothers have announced the first three HDR movies, available soon: "Edge of Tomorrow," "Lego Movie,” and "Into the Storm” that will be available via Dolby Vision built-in. HDR is the new iPhone of display technology and customer demand is driving the faster implementation of this new technology. What equipment do you need to take advantage of HDR technology? Once you have a HDR-ready TV, you need to make sure all your accessories can handle the technology to support FULL HDR and there are two important facts to know. First, make sure your cables and accessories can hand the spec (4:4:4: deep color, 18 Gbps) and second, make sure they can handle this spec in the length you need for your system. Not all cables can handle the amount of bandwidth required for HDR, especially in longer run cables. System design is very important! Make sure you know the specs for all of the equipment installed. 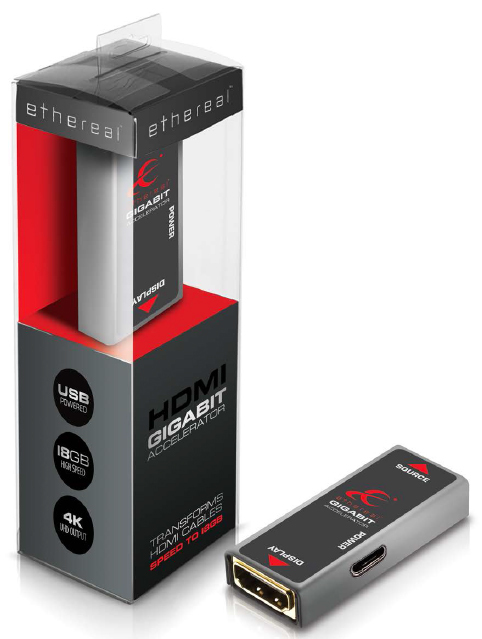 Do all HDMI 2.0a accessories support HDR? If no, why not? If the package says HDMI 2.0a and that is supports 4:4:4 deep color – then yes, these accessories will support full HDR. Beware of packages that do not say these specs but say they support HDR. Those packages in particular may bring down the color technology (4:2:0) and bandwidth to 10.2 which is old technology under the new name. Why are there not more HDR ready accessories on the market? Short answer, it costs money to future proof your inventory. Not every manufacturer invested in HDR technology when it was first introduced. HDR took everyone by surprise with the speed in which it is gaining a market. What else is new or on the drawing board in Home Theater for 2016? We plan on continuing the development of more 4K 4:4:4 accessories as well as expanding our multi-source, multi-room distribution products. Are you seeing an increase in spending on Home Theater systems or has it leveled off in the past few years? We are seeing an increase in home theater spending. With technology changing so rapidly, and becoming more affordable, the average consumer is riding the technology wave and upgrading their electronics just as quickly as the new products are becoming available. With the latest change in higher bandwidth 4K and HDR, they are having to change every facet of their system to be sure they are HDCP 2.2 compliant, and that the rest of their products are capable of handling the increase in bandwidth required for HDR and 4K. This means new cables, receivers, splitters, blue ray players, etc. What is the best way for an integrator to keep up with the latest Home Theater trends and equipment? Education and purchasing products from the right company can keep integrators up to date with the latest and greatest trends. Integrators need a company that invests in the technology behind the products and is there for integrators when they have questions. Integrators need a partner in business not just a company to purchase products. Metra Home Theater Group is a company that provides more than products to their customers. We value education and having a customer for life.